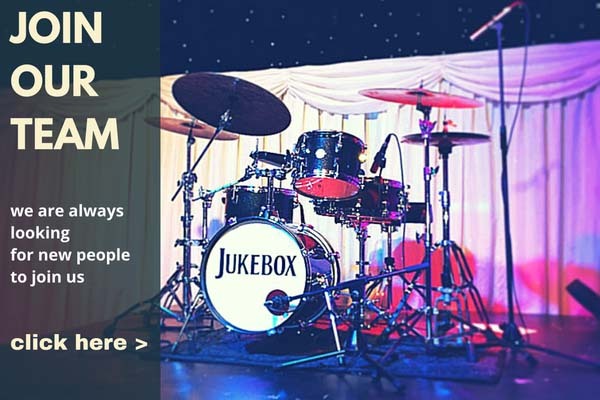 If you have something a little more exciting in mind for your event than a tired, cheesy covers band, then Jukebox Band is for you! Jukebox Band not only performs a wide variety of styles but play them like no other band. We will personally ensure that your dance floor is jumping all night! Depending on the size and budget of your event, we will generally provide everything the band and musicians need to perform. But if you are looking for something extra special, ask us about dance floors, stages, backdrops and lighting options as we can hire these in to create whatever atmosphere you have in mind. Check out our Party Band Options and Background Music Options or Contact Us today to discuss your Wedding celebrations in greater detail.